What the Kitchenaid is to food processors, the Champion is to juicers: a classic design that is built like a tank. Champion has been following the same basic design for over 60 years, while updating it to reflect modern technology. 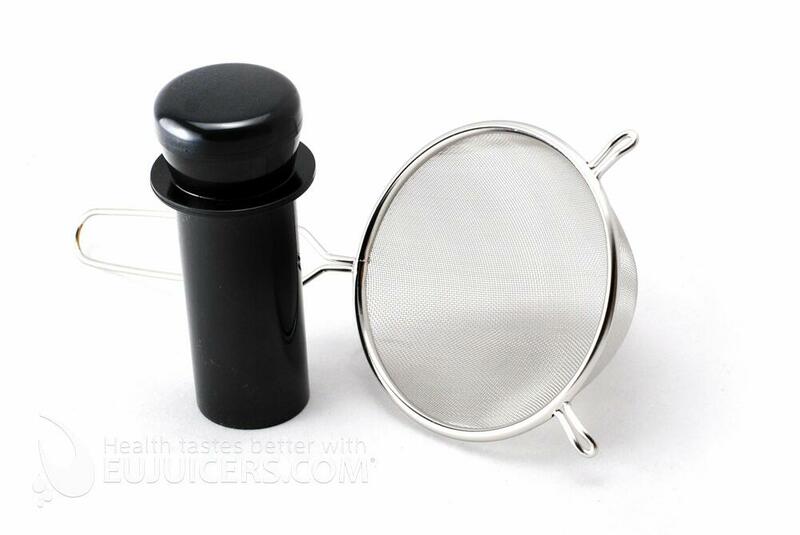 Constructed from cast metal, Champion juicers are well-known to run practically forever. With a 1/3 horsepower motor, the Champion powers through almost anything you feed into it. While the Champion looks like a horizontal slow juicer, it actually runs at 1425 rpm. 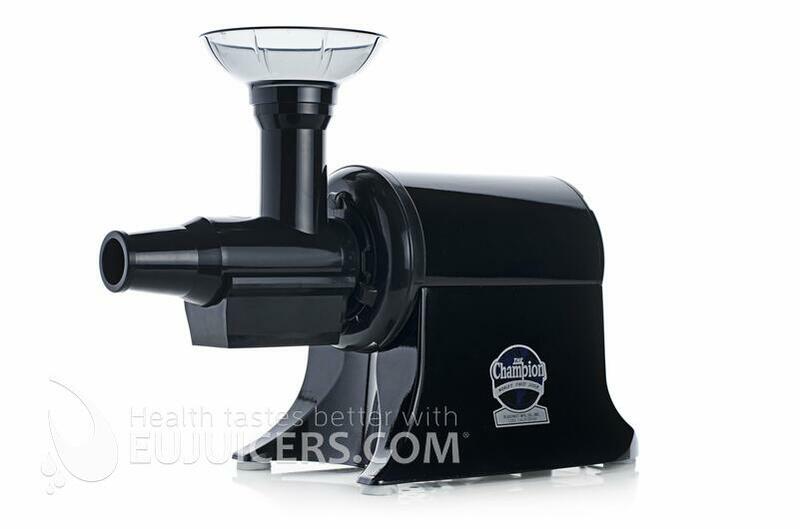 This makes it something of a hybrid between a centrifugal jucier and a horizontal juicer. The champion rapidly chews up produce, rather than slow pressing it. 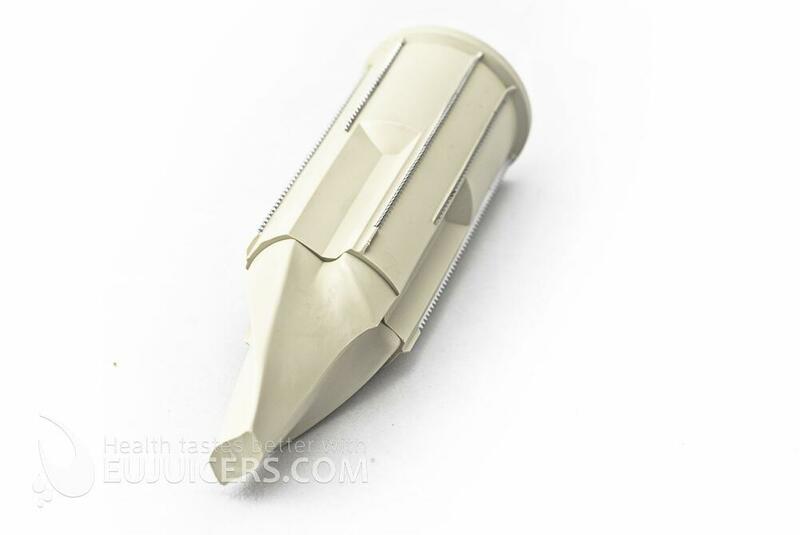 It also includes a homogenizing screen that lets you make things like nut butter, sorbets, and pureed food. The Champion produces higher yield and higher-quality juice than centrifugal juicers, but not as good as low-rpm slow juicers. The main advantage of the Champion is its powerful motor, high speed, and durability. 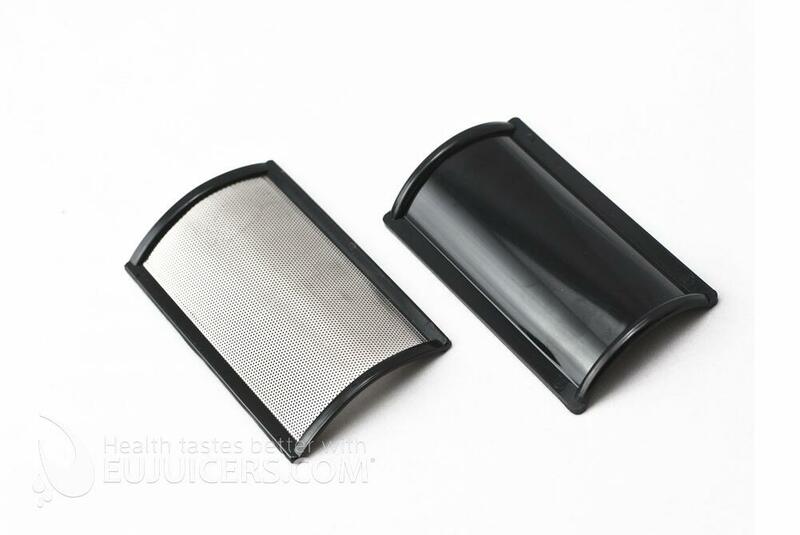 It's quite easy to use and clean, and makes juice very quickly. It also is probably the best machine out there for making frozen sorbets, since it has such a powerful motor. We don't recommend it for leafy greens, as those really require slow processing for effective juicing. 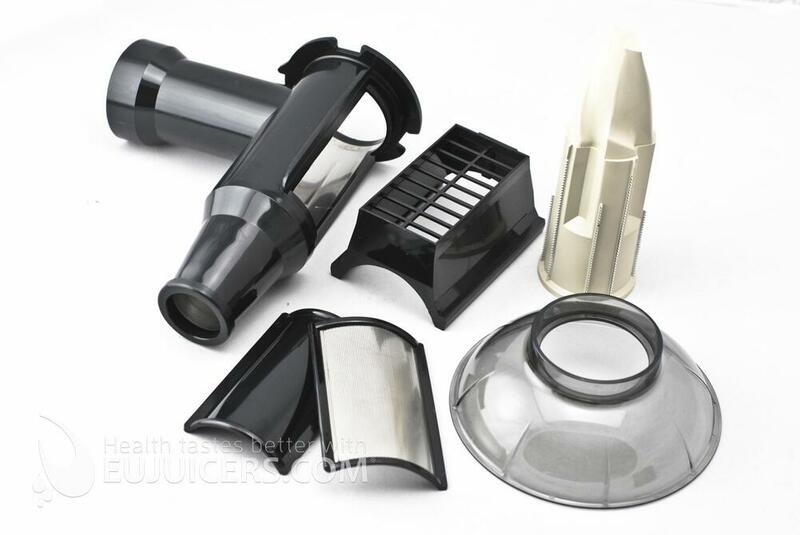 The original American masticating juicer - made from cast metal and virtually indestructible.